CLICK FOR MORE INFORMATION ABOUT THIS ACTION TEAM! 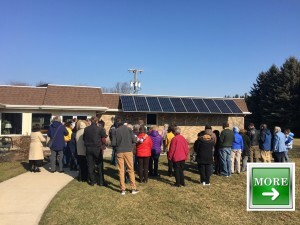 Ohio Interfaith Power and Light (Ohio IPL) is the Ohio affiliate of the national Interfaith Power and Light network and a 501c3 non profit. Read more about our mission, here. “Injustice anywhere, is a threat to justice everywhere.” -Rev. Dr. Martin Luther King, Jr. Contribute to Ohio IPL’s Reparative Justice Fund today! A donation to our Reparative Justice Fund will be matched by a grant from the US Climate Action Network and will go to support frontline local groups working on environmental faith-justice issues. DONATE TODAY to make a difference! CLICK HERE.